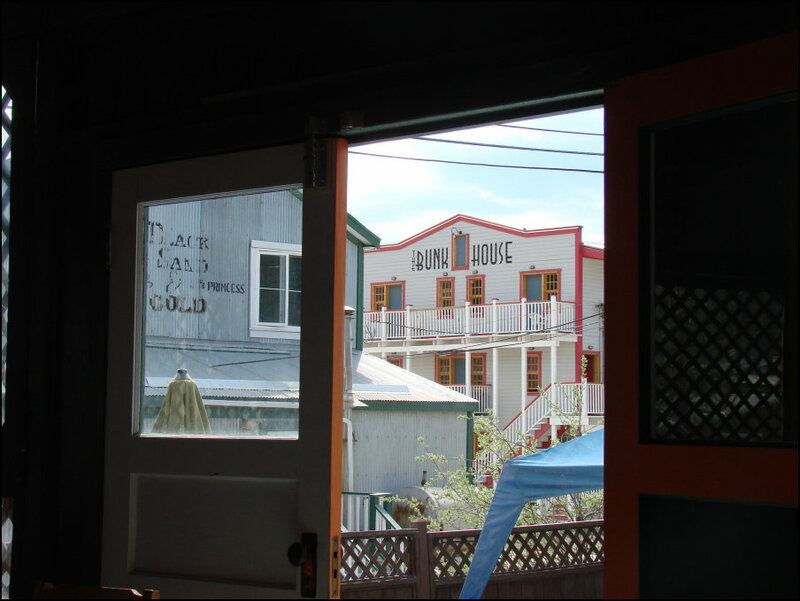 This week we were going to present another Favorite Photos travelogue. Usually, favorite photos are from multiple weeks and are photos that we think are just great to look at and don't need any description. 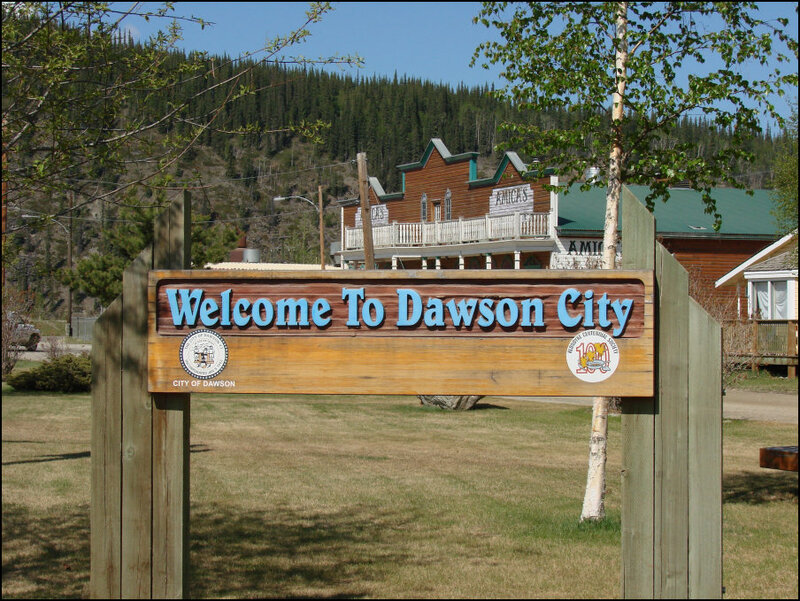 This weeks collection is almost all from Dawson City, Yukon and deserve a story line, thus the Dawson City, Yukon Photo Collection. 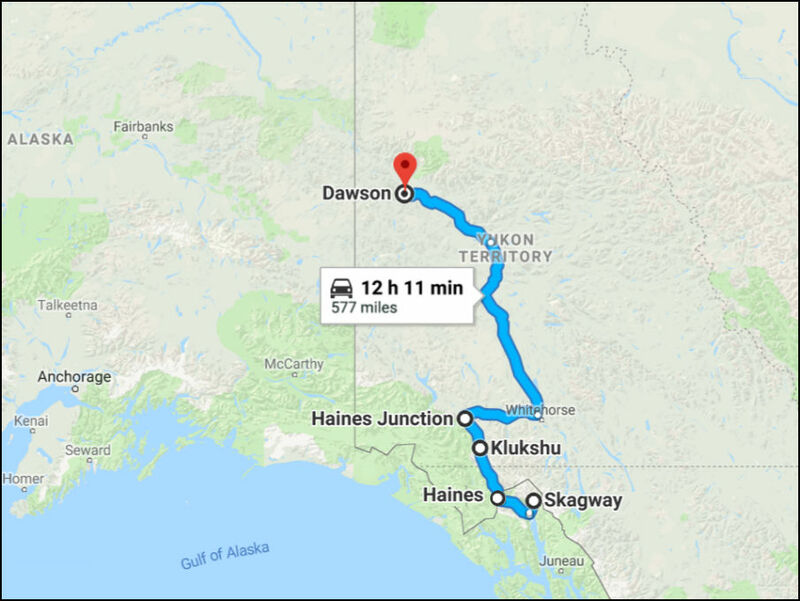 We left off traveling from Haines, Alaska, towards Haines Junction, Yukon. 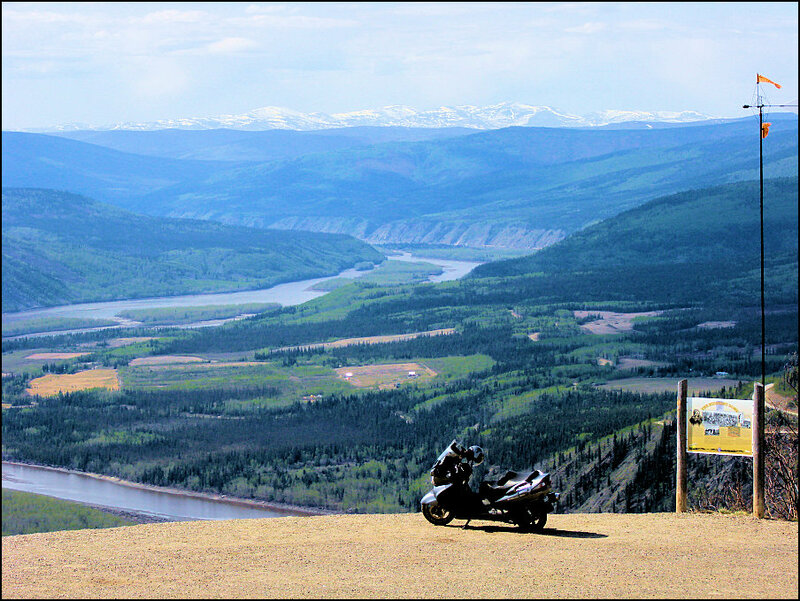 Leaving these beautiful mountains we went back to Whitehorse, Yukon and onward to the north. 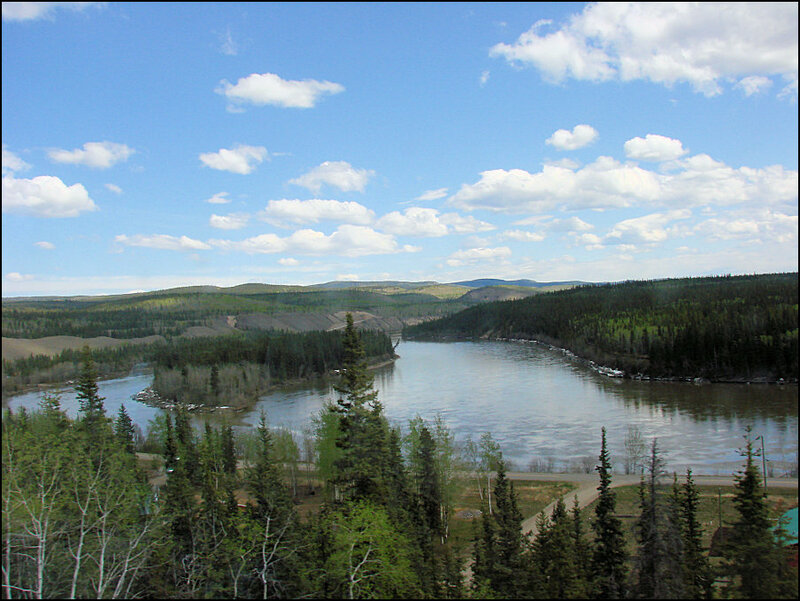 The road from Whitehorse to Dawson follows the Yukon River all the way. 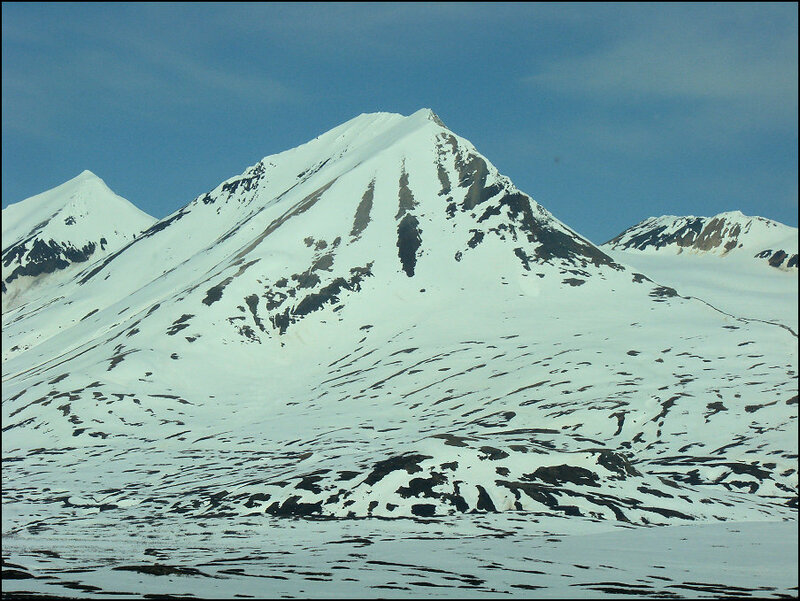 The Yukon is 1,980 miles long, stretching from British Columbia, north through Yukon, then west through Alaska emptying into the Bering Sea. 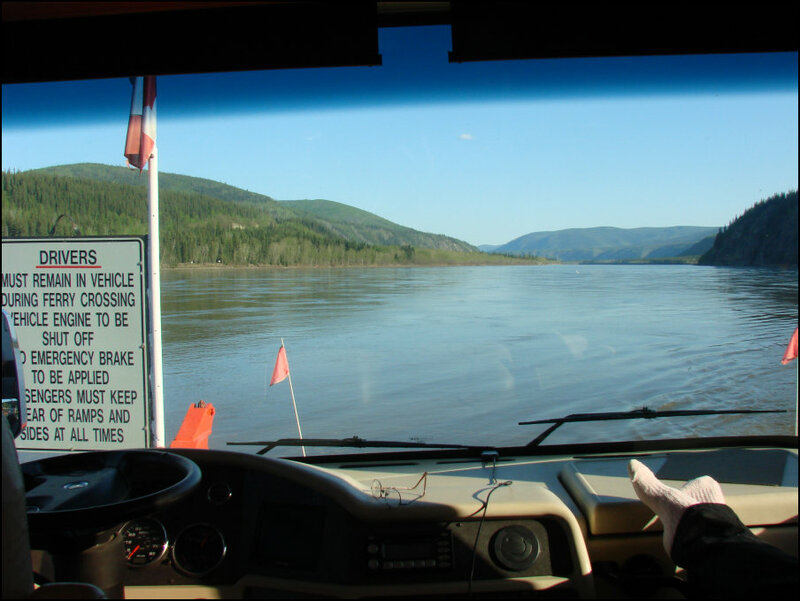 It is alway fun to drive along water and that makes this 330 mile trip a delight. 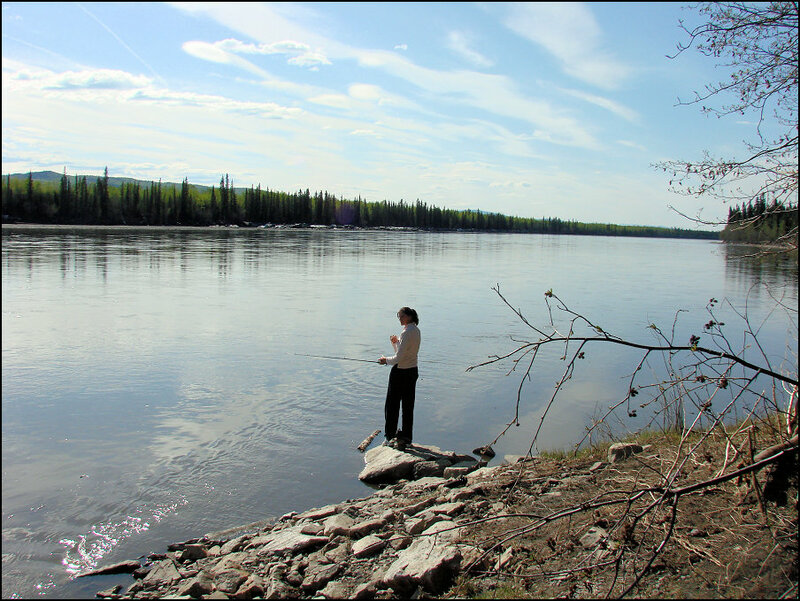 Ellen enjoys the fishing when we pulled over to dry camp along the river. And Pete enjoyed watching Ellen! 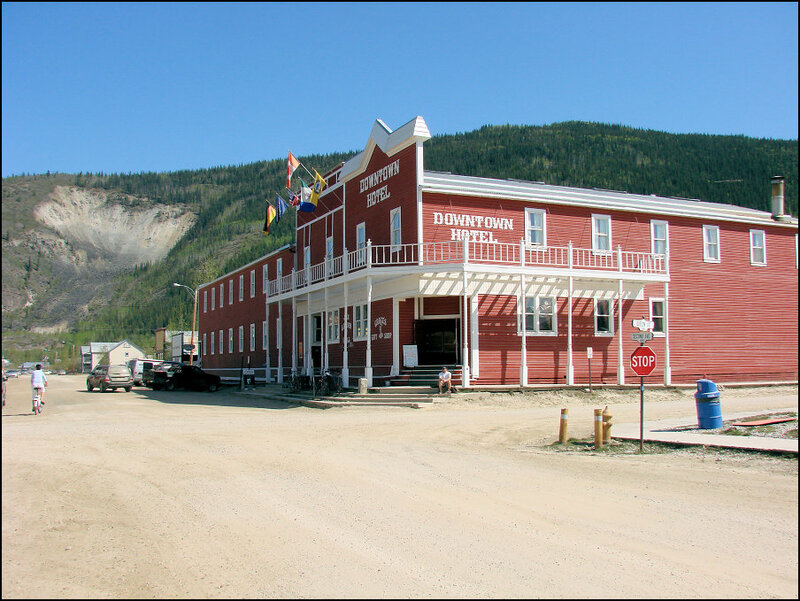 Reaching Dawson City you are treated to a 122 year old town (as of 08-2018). 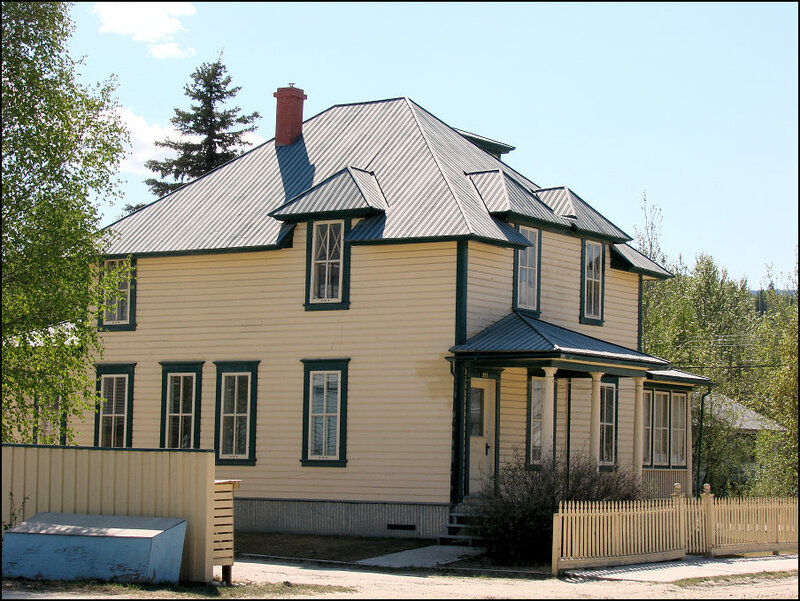 Most of the buildings have been well maintained. 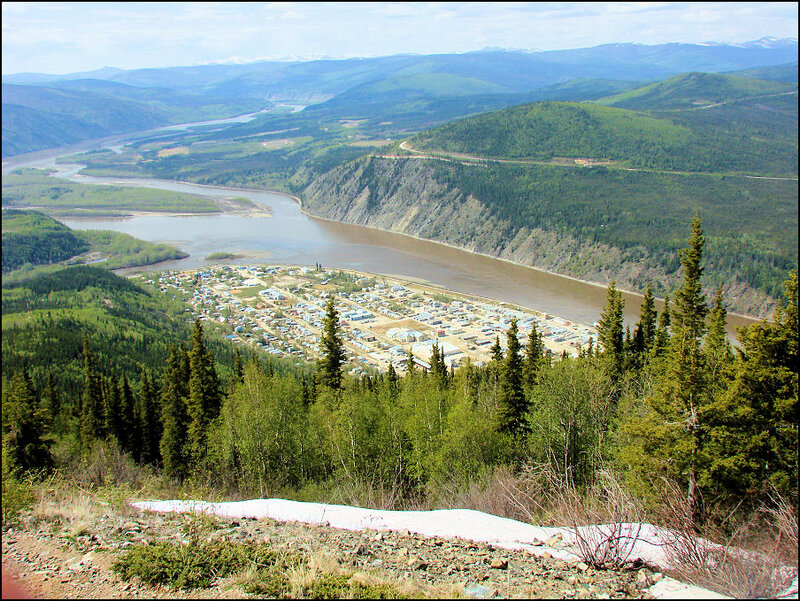 The views from Midnight Dome Viewpoint are spectacular. The viewpoint is just 5 miles from the city. 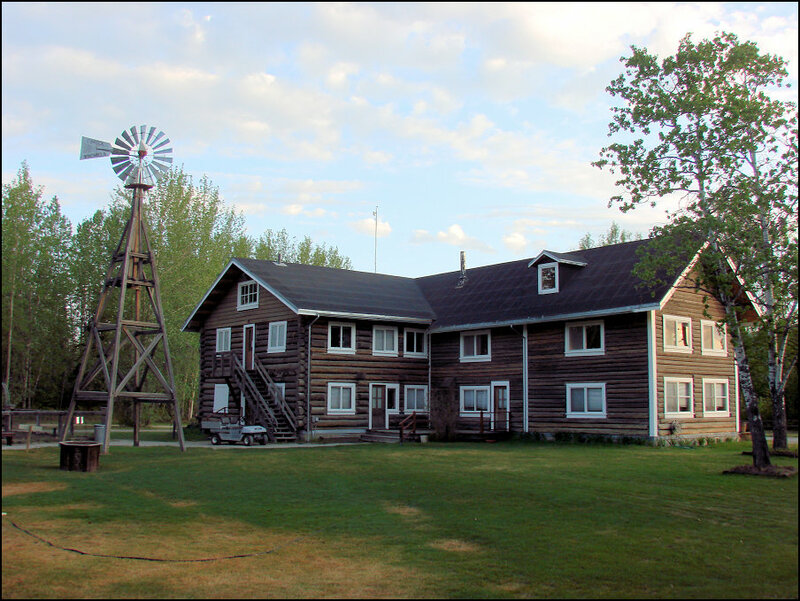 The Bunkhouse offers clean, affordable historic bunk rooms of various sizes. We, of course, bunked in the MotherShip. 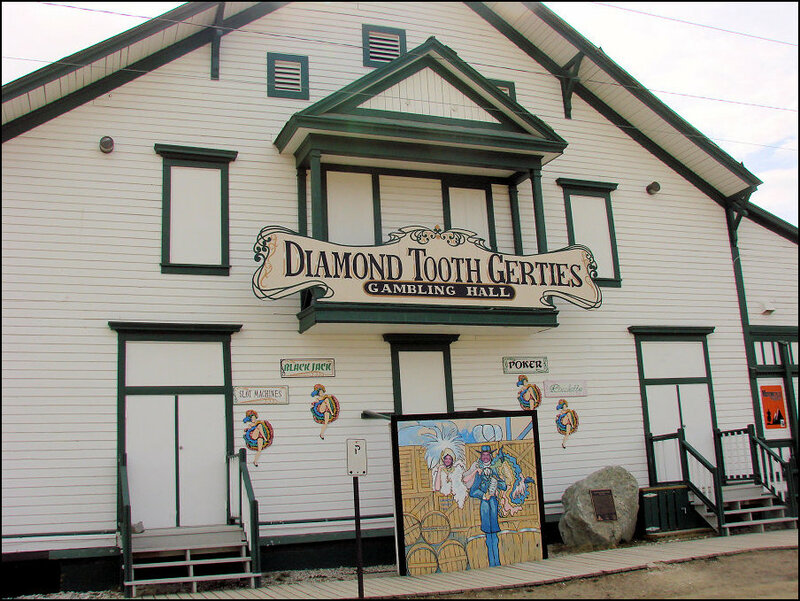 Diamond Tooth Gerties is a classic gambling hall with meals, drinks, gambling, rooms and dancers. A low fee gave us entrance to six shows in two days. Look at the photo-op stand by the sidewalk. Pete said, "Hey, Ellen that face looks familiar". 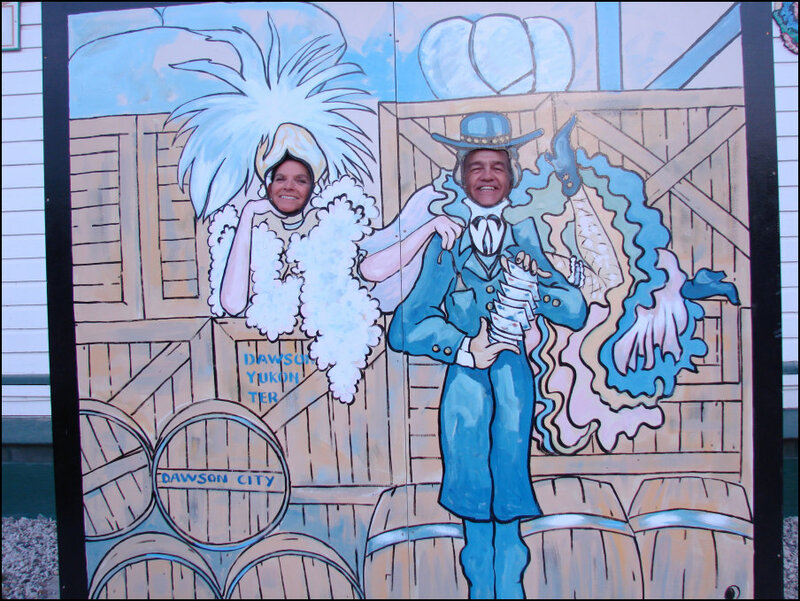 Upon closer inspection, Ellen responded "it's me you idiot!". The can-can dancers were fun and good dancers. 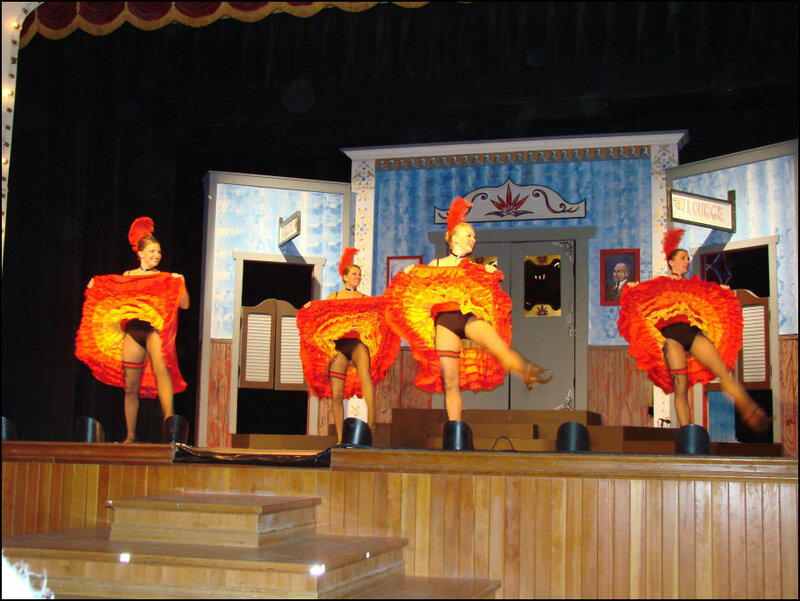 At one point all the girls pulled up men from the audience and taught them how to can-can. Pete complied and was rewarded with his partner's garter. 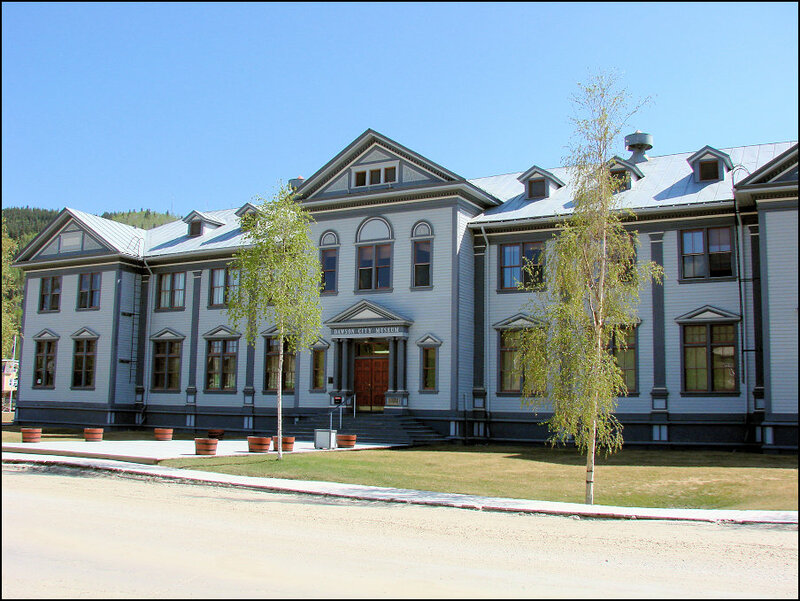 A tour throughout the town shows how nicely these buildings are kept. 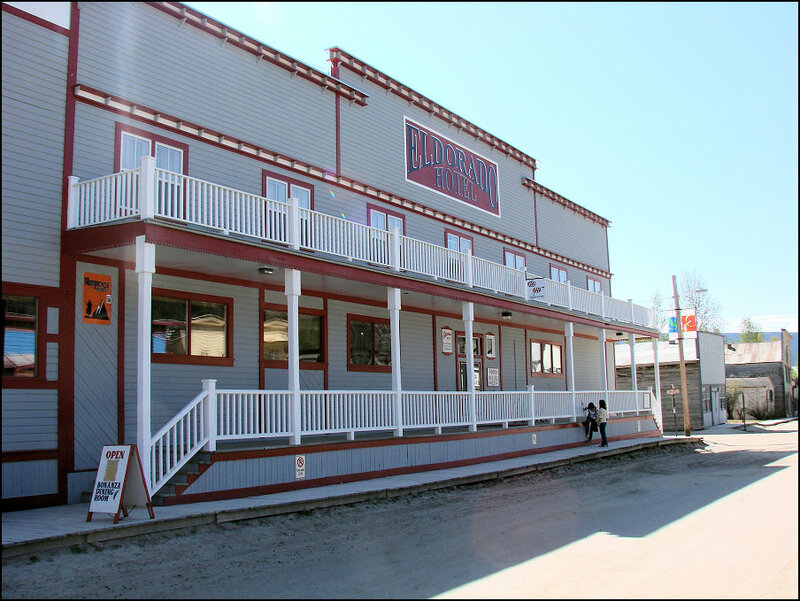 The Eldorado Hotel. 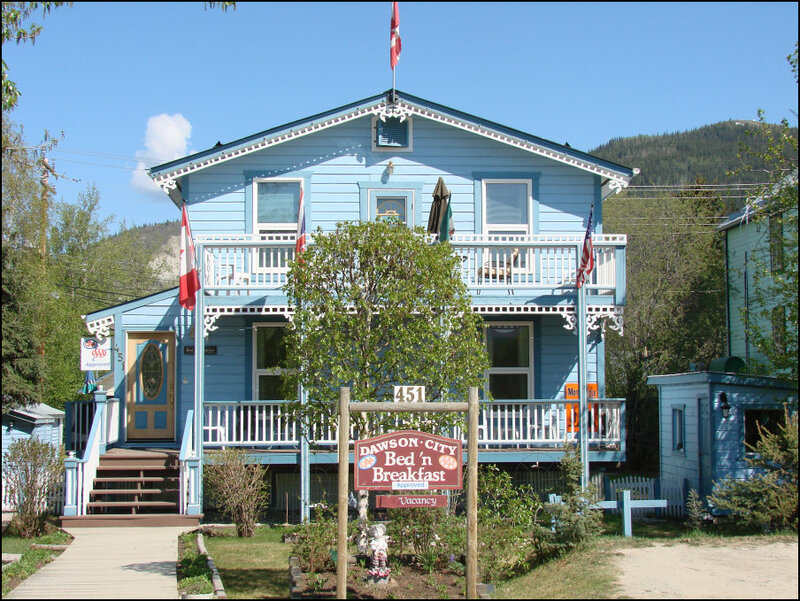 Dawson City Bed 'n Breakfast. 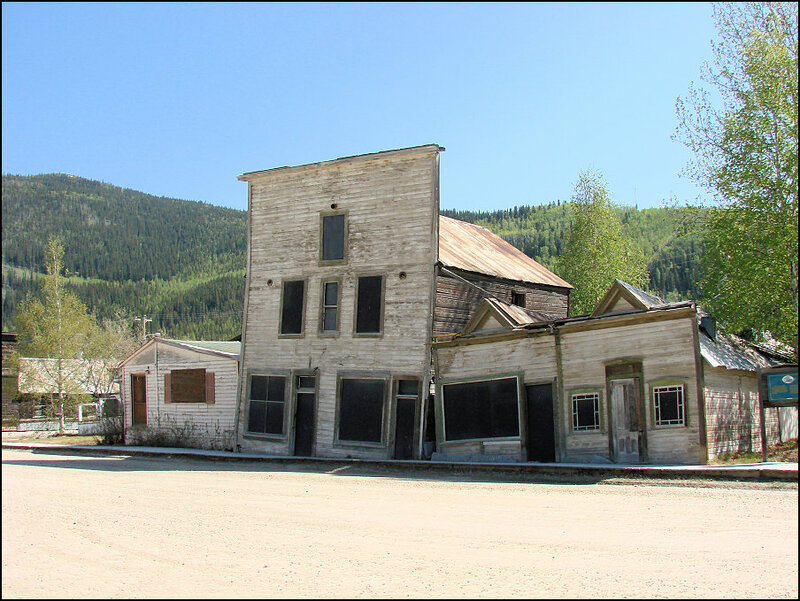 Okay, some of the buildings need a little TLC. Dredge No. 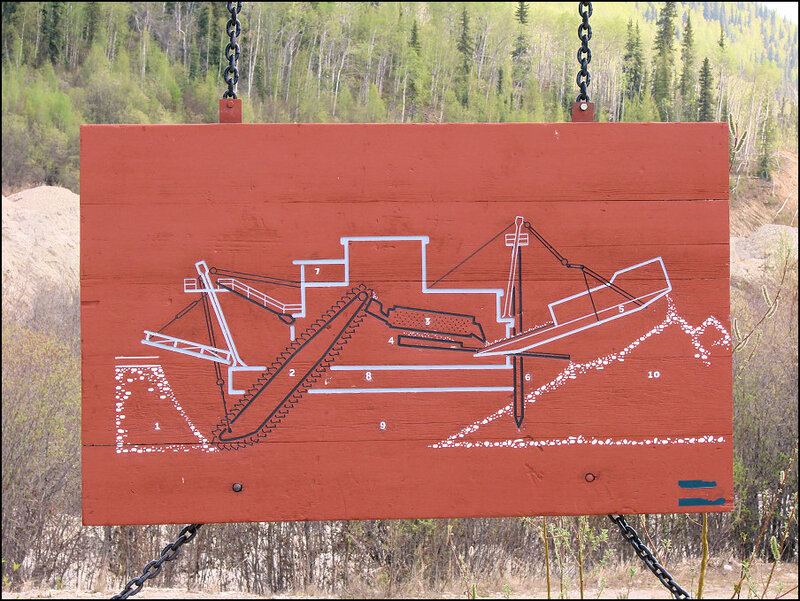 4 south of town was used from 1913 to 1959 and is the largest wooden-hulled dredge in North America. 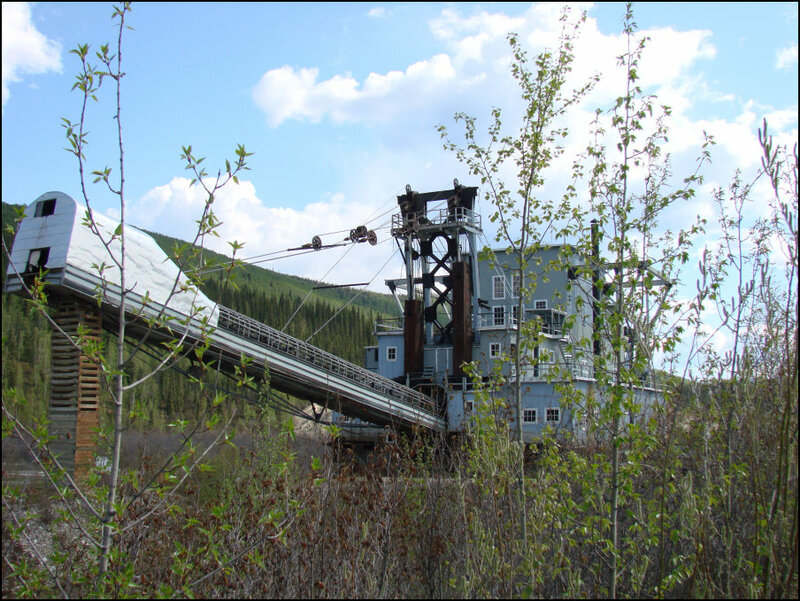 Much bigger than your house this dredge moved up rivers and streams retrieving gold and leaving huge ponds behind it. Of the seven ferries the MotherShip has been on, this is the smallest by far. This load was four cars. 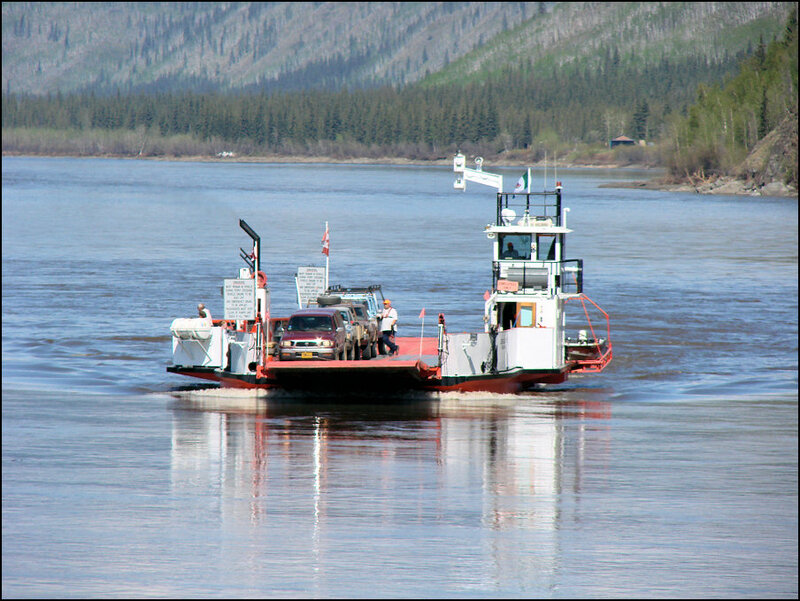 On our free trip across the Yukon, it was the only the MotherShip and one other vehicle. Whee, we made it! 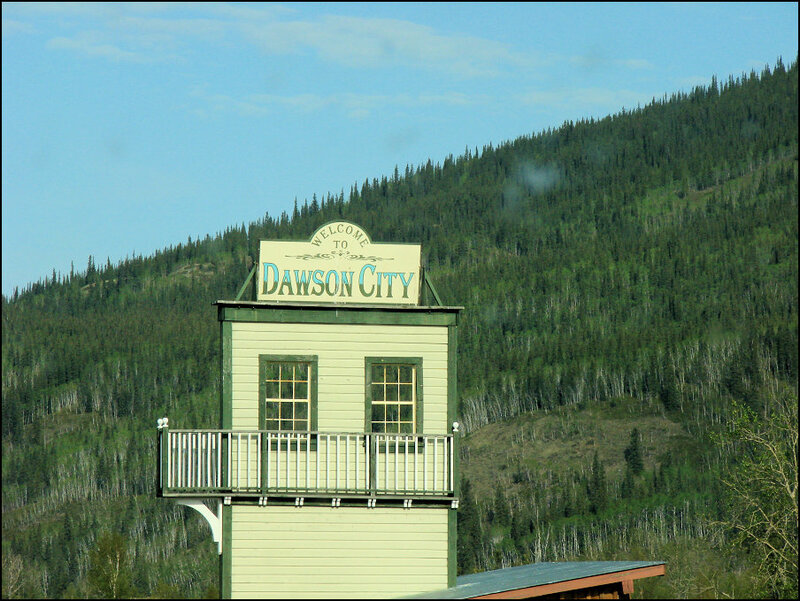 The "Top of the World" highway. "Top" because it is far north, not because it's high (only 5,500 feet). 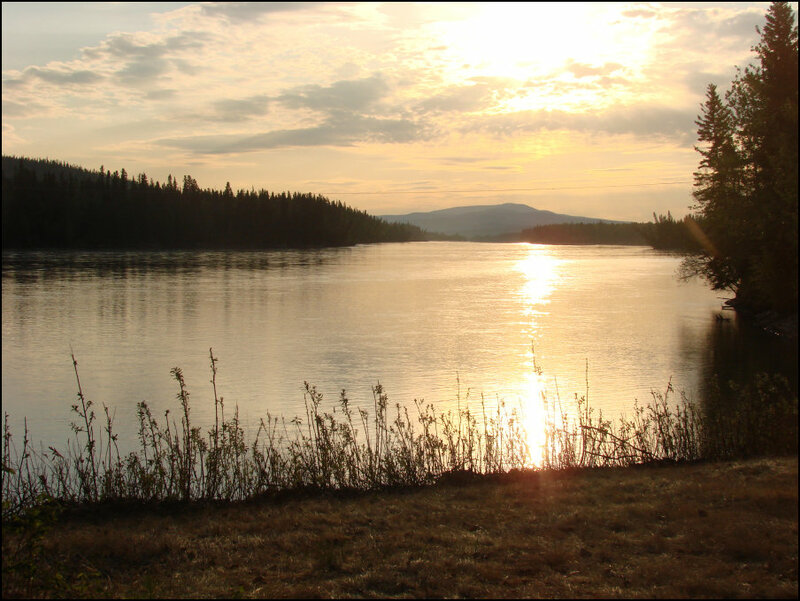 After the grueling 185 mile "Top" trip, which we do not recommend, we arrived at Tok. 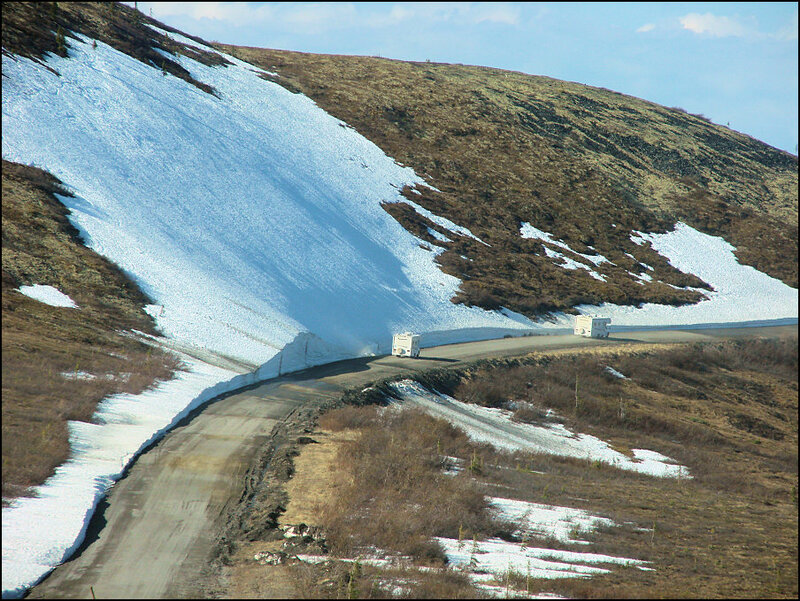 From there the high quality Alaskan Highway got us to Rika's Roadhouse and Landing. 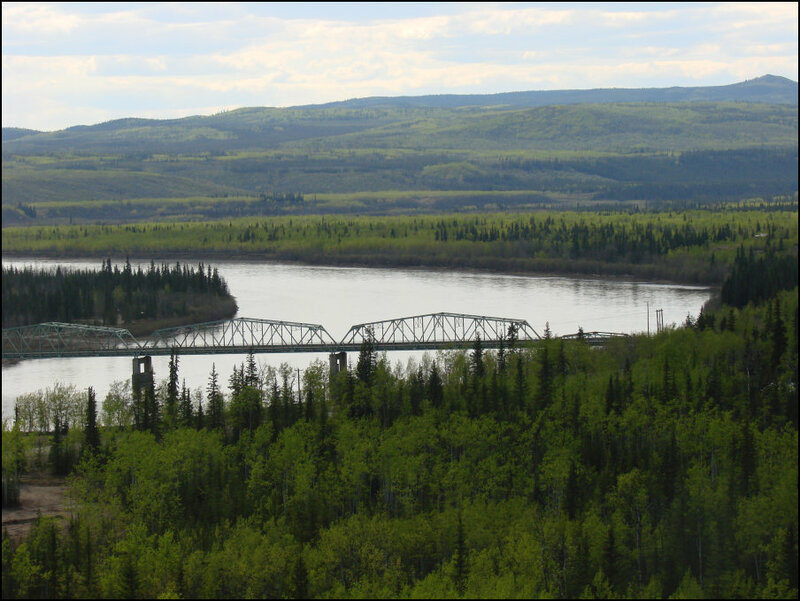 Rika's is on the Richardson Hwy 2 at the junction of the Tanana and Delta Rivers. We hope you enjoyed looking at great places from the past. And we hope to get off the "doctor trail" soon, and see if the MotherShip still runs to take us to some new photos.